Living Waters Funding Application is Successful! 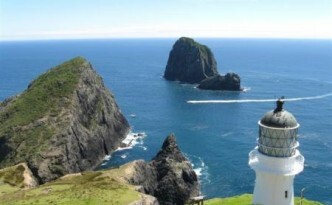 Living Waters are a charitable organisation who aims to educate communities about restoring healthy living streams and marine ecosystems for the Bay of Islands. 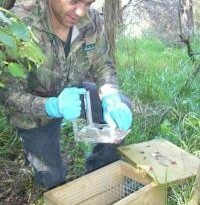 In November last year, Living Waters applied to the Ministry for Environment Community Environment Fund for a 3 year grant which would support riparian restoration in the Kerikeri /Waipapa area, and on the Waiwhakangarongaro Stream. Well they were successful! 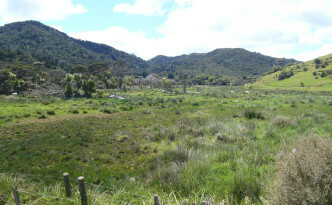 During 2011 some members of the Executive Committee (John Booth, Tony Beckett, Margaret Horsburgh and Lisa Marwick) of the Eastern Bay of Islands Preservation Society (EBoIPS) had discussions about the Society’s involvement in a potential Wetlands Restoration Project – Tangatapu – land at the commencement of the DoC Whangamumu track near Rawhiti Rd. 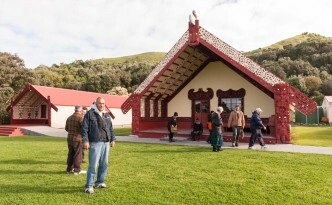 In summary the project involves the Society working collaboratively with ‘Living Waters Bay of Islands – Wai-Ora’ group ,Te Rawhiti marae, DoC, the Northland; Regional Council and other local community groups on a wetland restoration project. The project links with the pest control initiatives which are supported by the Society. 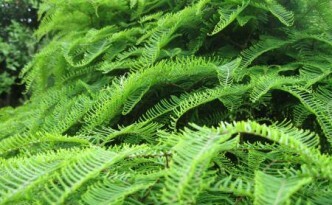 If you’d ever wondered about growing and propagating native plants? Where here's a great guide to making it happen. Our native flora need to be planted at the right times and cared for, just like any plant, starting with a nursery for little seeds. Get some excellent advise on how to grow yours right here! Register now for a FREE workshop! Find out more about marine pests and help look after Northland’s coast. 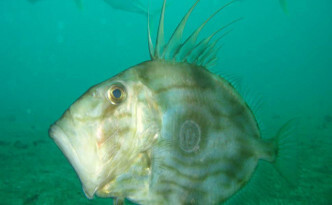 This is a FREE workshop provided by the Northland Regional Council and MAF Biosecurity New Zealand and will focus on marine pests and how to stop them spreading. With the summer season rapidly approaching and the threat of rats reaching the islands again, it’s a good time to bring everyone living out on the pest-free islands of Ipipiri up-to-date with Project Island Song progress. You are invited to a practical workshop to share ideas and ways of keeping the islands pest-free. The pest control projects are continuing in our successful attempts to keep the islands pest free. The islands project is called Project Island Song. The on-going success of the Project Island Song pest-free islands is due to the public checking for animal pest stowaways in boats and gear before leaving the mainland- and the mainland pest-controlled buffer. 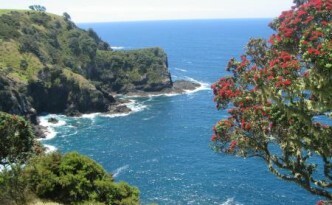 In July 2011, we agreed to 2011 and 2012 Nga Whenua Rahui contracts. Basically, we have fulltime work for two trappers for 150 days commencing 1st September 2011 and fulltime to end of March 2012. 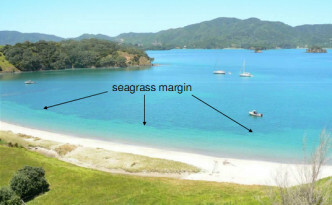 NIWA (National Institute of Water & Atmospheric Research Ltd) prepared a report for the Northland Regional Council which investigated the loss of seagrass in the Eastern Bay of Islands. The project aimed to quantify the loss of seagrass in this area by comparison of historical and recent aerial images, identify factors that may have contributed to the seagrass decline and recommend options to protect remaining seagrass and rehabilitate denuded areas.